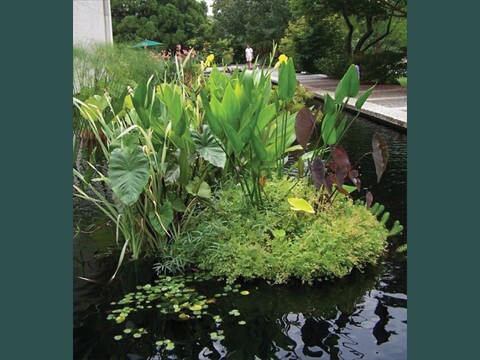 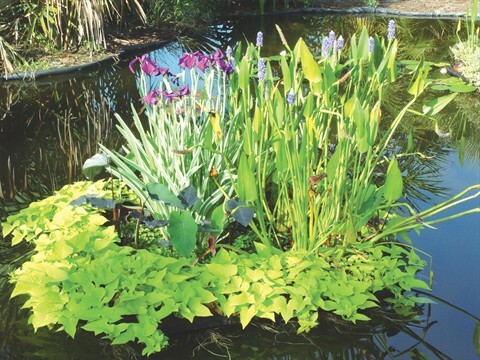 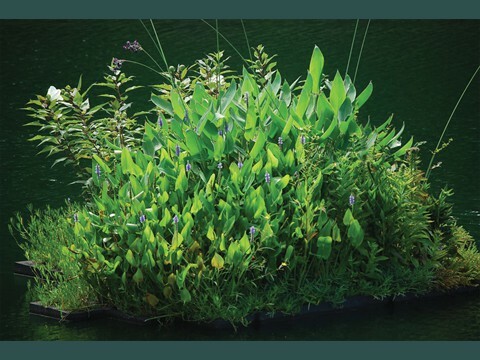 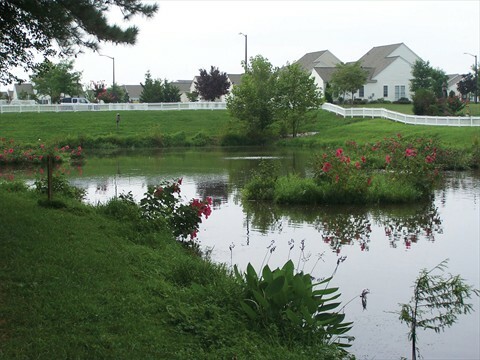 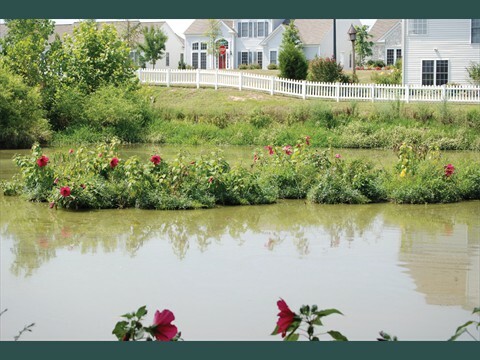 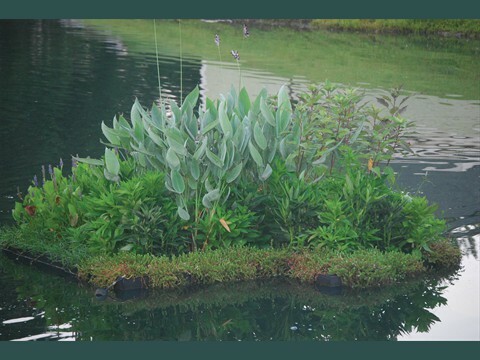 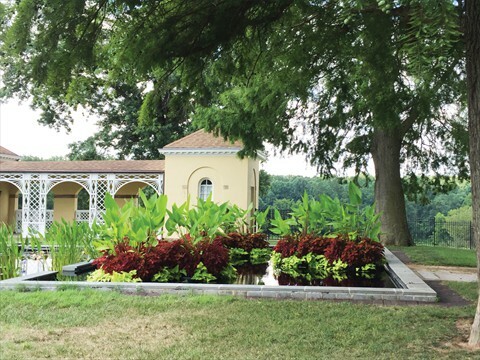 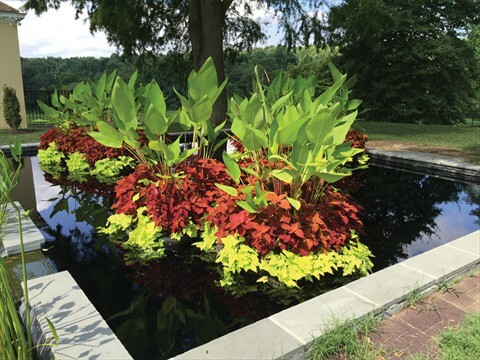 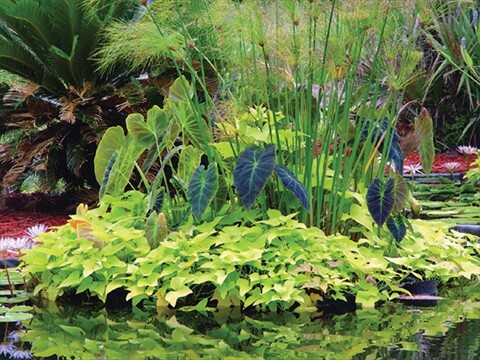 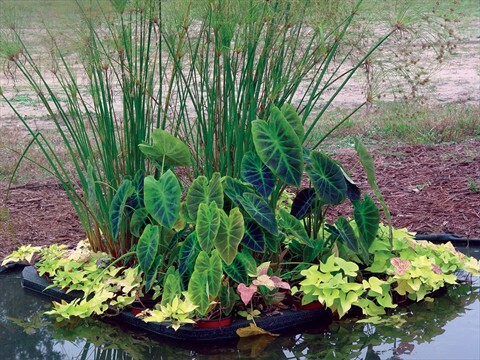 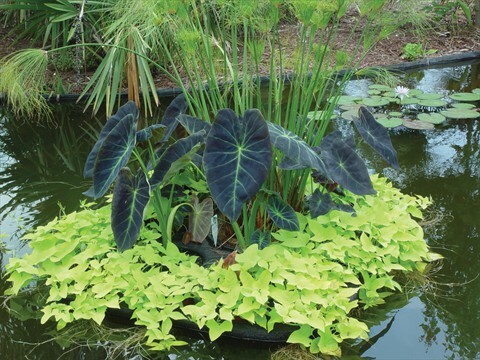 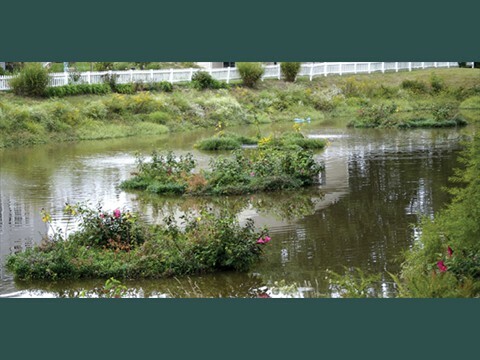 Maryland Aquatic Nurseries, Inc. (MAN) patented the first pond Floating Wetland Rafts of its kind over 25 years ago. 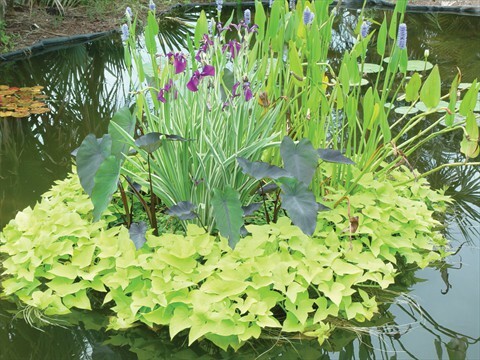 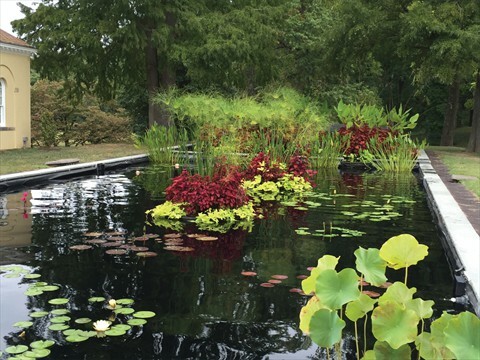 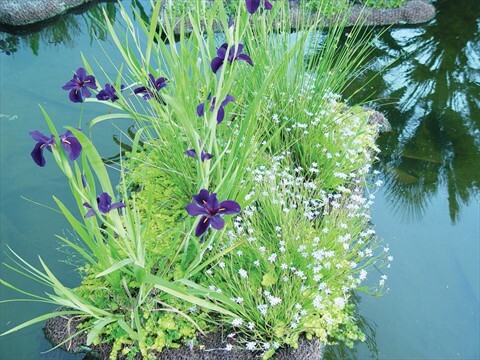 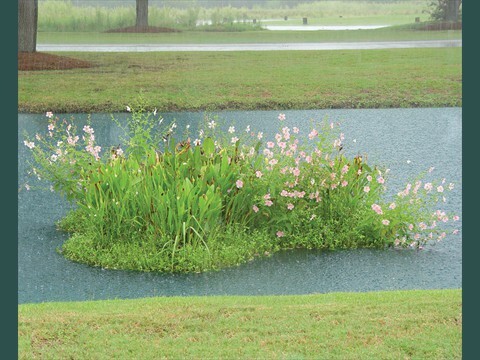 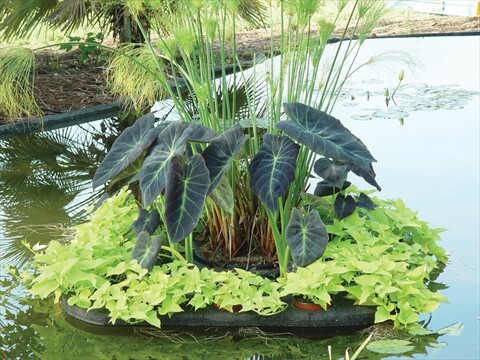 We have continued to innovate the concept into creations that not only present beautiful pond-scapes but rafts that also help filter ponds to keep them healthy and clean. 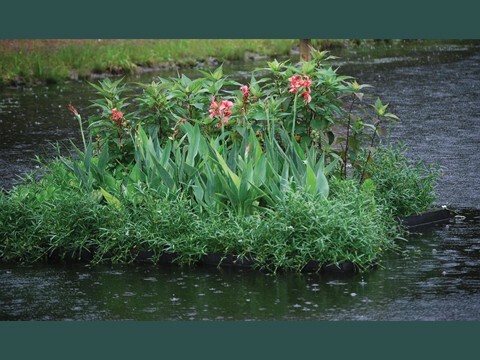 The images offer just some of the creations, sizes and combinations of wetland rafts we offer.